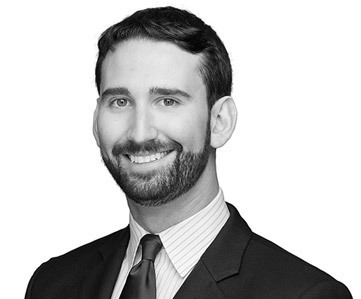 Alex Harris’s practice focuses on complex civil litigation, white collar matters, and appellate litigation. Prior to joining MoloLamken, Mr. Harris served as a law clerk to the Honorable Jerome A. Holmes of the United States Court of Appeals for the Tenth Circuit and to the Honorable Kevin H. Sharp of the United States District Court for the Middle District of Tennessee. He also worked as an associate in the New York office of Jones Day, where he focused on appellate litigation, motions practice, and trial strategy in state and federal courts. Before law school, Mr. Harris worked at the Financial Clinic, a New York-based nonprofit organization that provides financial counseling for low-income families.